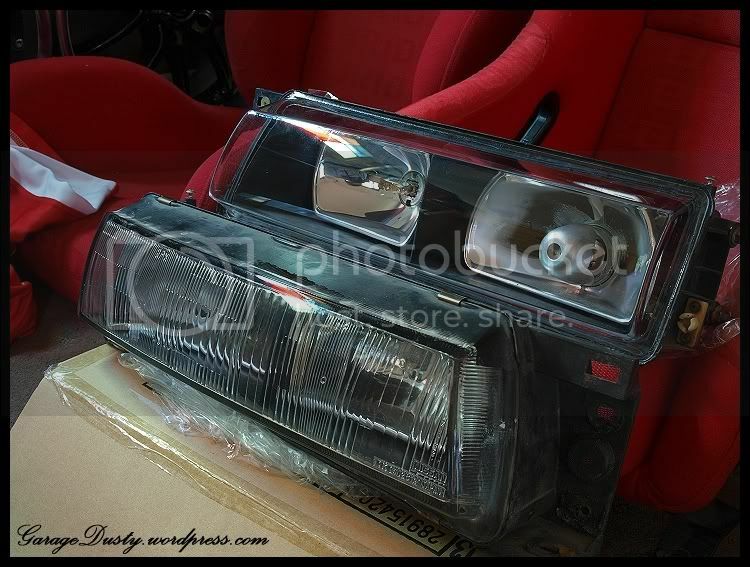 Project Silvia: Clear Headlight Lenses – Garage Dusty Exciting Car Team! I know they’re sought after and all, but really, the stock 1988 J’s headlights are still just the best of a bad lot. The lenses make them look 1000 years old. ….and in no time it’ll look like a robot! Not finished yet (haven’t sealed the new lense on) but this gives you an idea of the difference! 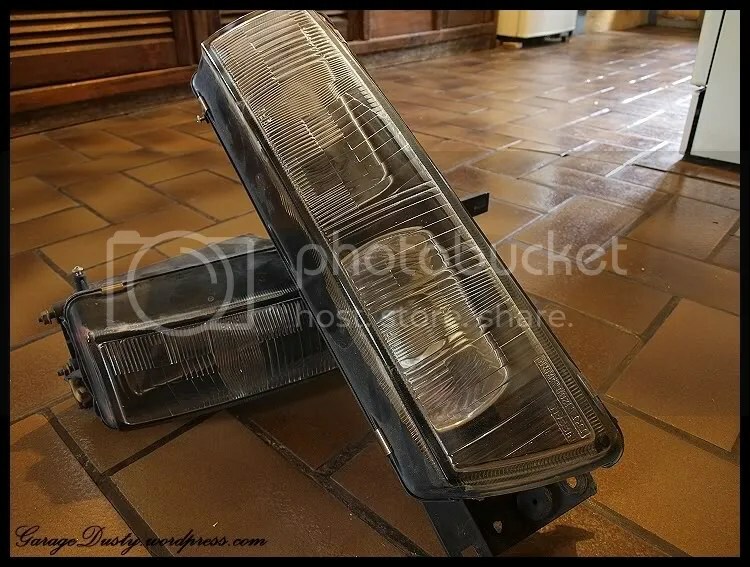 I might see if I can re-chrome the low beam reflector somehow. But even with it as it is now, I think it looks great. Nice! 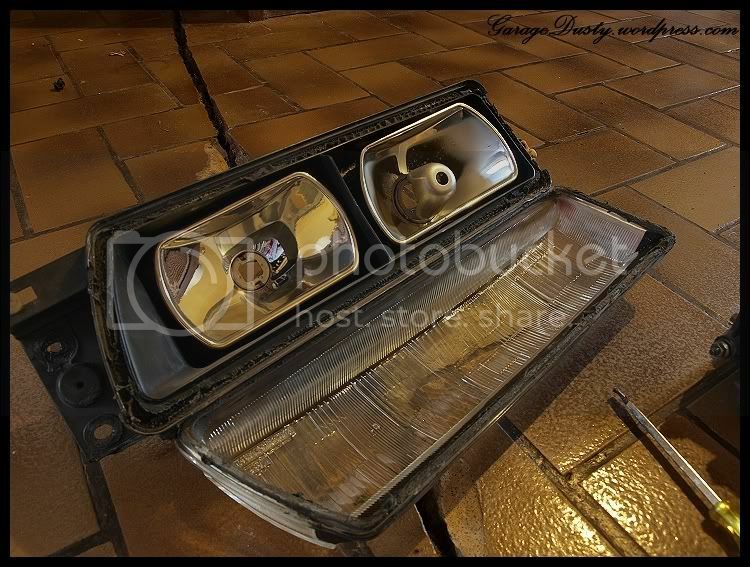 i’ve been thinking doing this conversion!, fron what car u find the high & low beams? 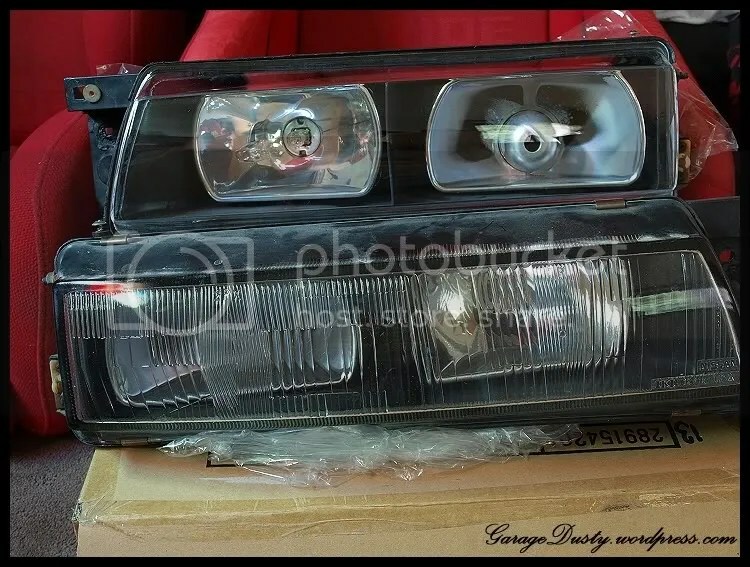 Just stock ’88 model S13 lights bud! All I did was re-chrome the reflectors & fit the clear lenses. Hi how did you heat the lenses?